Clarinetist Balazs Rumy and pianist Deborah Lee will perform Eastern European music at First Presbyterian Church, 178 Oenoke Ridge, New Canaan, Sunday, Nov. 10. 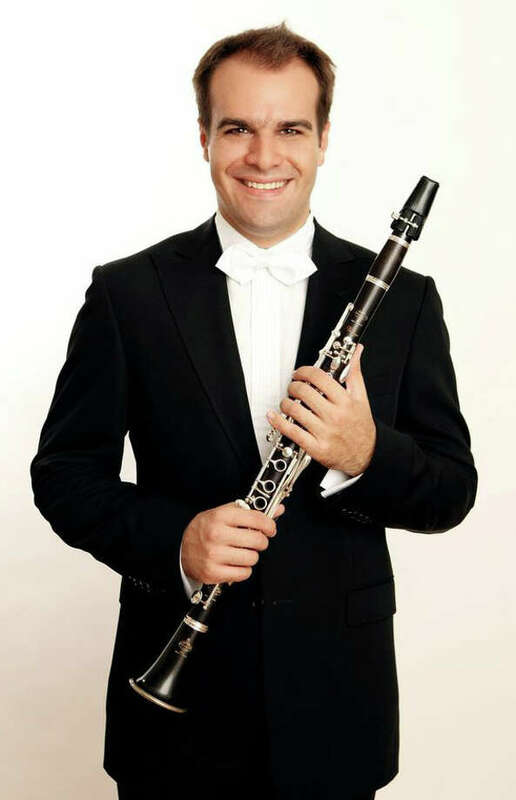 Hungarian clarinetist Balazs Rumy will present the next Coffee Concert at First Presbyterian Church, 178 Oenoke Ridge, Sunday, Nov. 10, at 11:30 a.m., accompanied by pianist Deborah Lee. The duo will present a preview of their Carnegie Hall debut concert scheduled for Wednesday, Nov.13. The program features Eastern European music inspired by folklore and folk songs. On programming his concert, Rumy said, "I have chosen this program because I am interested in how different composers from different countries were influenced by folk songs. start collecting folk songs and to research the roots of our music. From then on, folk music started to appear in and influence classical music." Rumy and Lee are graduates of the Julliard School of Music in New York. Rumy resides in Budapest, where he is enrolled as a doctoral student at the Ferenc Liszt Academy of Music. Lee is a member of the piano faculty at the Conservatoire de Musique de Geneve in Switzerland.